Mophie recently announced the launch of its largest battery pack yet, the Powerstation 3XL, which is designed for charging Apple's line of MacBook and MacBook Air devices. The Powerstation 3XL features a 26,000mAh capacity and 45 watts of power, making it ideal for charging devices that include the iPhone, iPad Pro, 12-inch MacBook, and new MacBook Air. 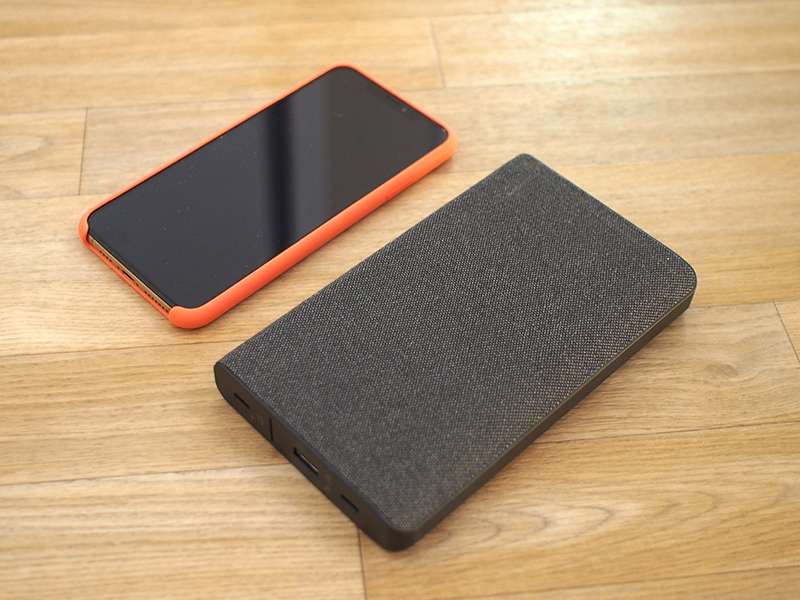 As you might expect with a 26,000mAh device, the Powerstation 3XL is not a small, pocket-sized charger. It's 6.6 inches long and 3.7 inches wide, plus nearly an inch thick. You can fit this into a bag or backpack without much trouble, but it is bigger than even Apple's largest iPhone, the XS Max. The Powerstation 3XL weighs more than a pound (18 ounces), and it feels like a heavy, sturdy accessory. 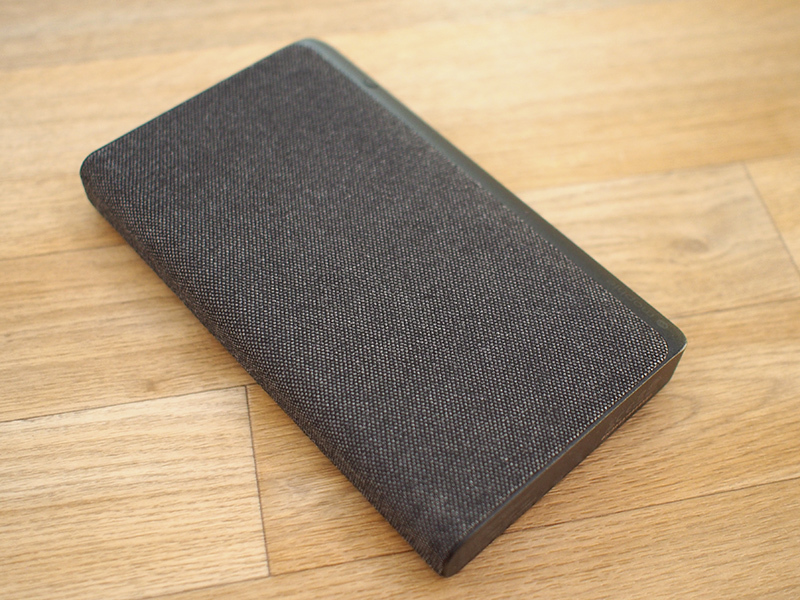 The charger is made from a black plastic material that's covered in a soft, tweed material that makes it easy to grip and adds some flair. Design wise, this is a high-quality charger that looks like it's expensive, which it should, because Mophie is charging $200. 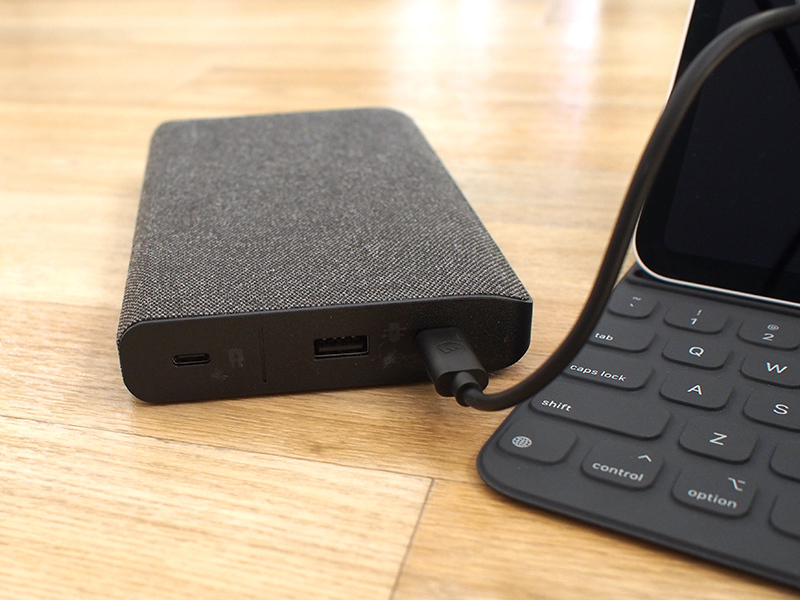 At the bottom of the Powerstation 3XL, there are two USB-C ports, one for plugging into USB-C accessories like the MacBook Air or MacBook, and one for charging the power bank with a USB-C cable. You can tell the two ports apart by a little line and a lightning bolt that indicates which side is used for which. There's also a USB-A port next to the USB-C charging port so you can also charge USB-A accessories. In total, you can charge one device using the USB-C port and one device using the USB-A port at once, and if you plug in a USB-C cable and a power adapter, you can charge the Powerstation and your devices with passthrough charging. Mophie says the Powerstation 3XL has a Priority+ charging feature that will provide power to your devices connected to it via USB-C or USB-A before charging the power bank itself, so if you leave the whole shebang plugged in, your devices will charge and then the Powerstation 3XL will charge. I tested this feature out and did indeed see the Powerstation providing power to my iPhone and iPad before charging itself. A button at the top right of the Powerstation 3XL can be pressed to initiate charging or to let you know how much charge is left in conjunction with four LEDs that light up to let you know the power level. At 45W, the Powerstation 3XL provides more than enough power to charge up a MacBook Air or a MacBook at a fast charging speed. Both the MacBook Air and MacBook ship with 30W power adapters from Apple for charging purposes. Mophie includes a USB-C to USB-C cable for connecting to your MacBook or other USB-C device, and a USB-C to USB-A cable, which is for charging the Powerstation 3XL. Though not provided, if you combine the Mophie Powerstation 3XL with a USB-C to Lightning cable from Apple (and Apple is the only manufacturer of these cables at the current time), you can use the accessory to fast charge a compatible iPhone. iPhones that support fast charging include the iPhone 8, 8 Plus, X, XS, XS Max, and XR. With these phones, when charging with the USB-C to Lightning cable, you can get a 50 percent charge in just a half hour. When testing this with my iPhone XS Max, I was able to get to just over 50 percent within a half hour starting from one percent, and in an hour, the Powerstation 3XL charged it up to 83 percent. 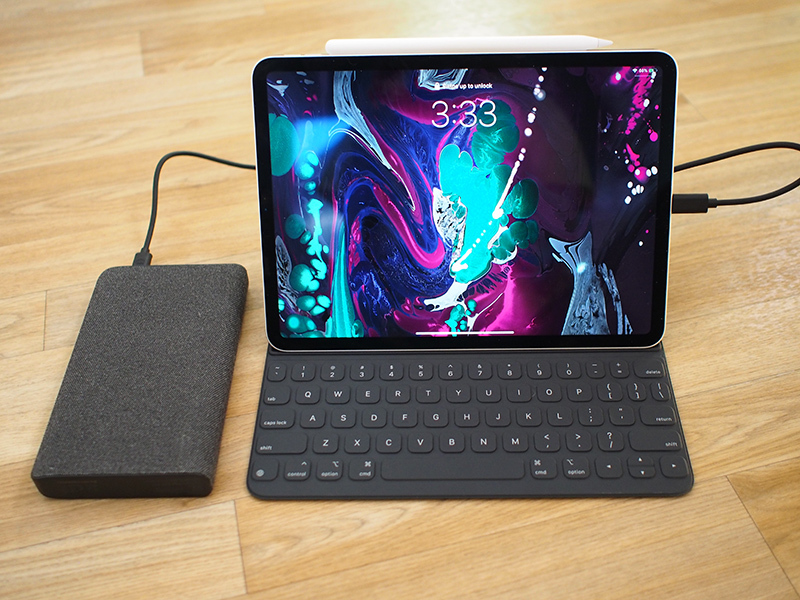 With the USB-C to USB-C cable, I was able to charge my MacBook from zero power to 53 percent using the Powerstation 3XL in one hour, and with the new 11-inch iPad Pro, it charged the device to 66 percent from zero over the course of an hour, also using the USB-C to USB-C cable. Capacity wise, a single 26,000mAh charge was enough to charge my MacBook from 0 to 100, my iPad mini from 0 to 100, and my iPhone X from dead to 56 percent, so there's a good amount of power there for dealing with multiple devices that need to be charged up. For the record, at 45W, the Powerstation 3XL also offers faster charging than the 18W USB-C power supply that ships with the iPad Pro. Using the standard adapter, my iPad Pro charged from dead to 45 percent in an hour, but with the Powerstation it got up to 66 percent during the same time period. Though designed for the MacBook and MacBook Air, you can use the Powerstation 3XL to provide a bit of extra juice for a 13 or 15-inch MacBook Pro, but as these are higher-capacity devices that use 61 and 85W power sources, respectively, the 26,000 capacity won't go as far nor will charging be as fast. With the MacBook the Powerstation 3XL offers more than double the battery life, and while I don't have a MacBook Air to test, it too should be able to charge to full via the Powerstation. You can charge an iPhone or an iPad a few times over as well, so this is a great device to have on hand for travel and other situations where you need a lot of battery life. I have nothing negative to say about the Powerstation 3XL itself. It's heavy and a bit bulky, but that's to be expected from a charger with such a high capacity. 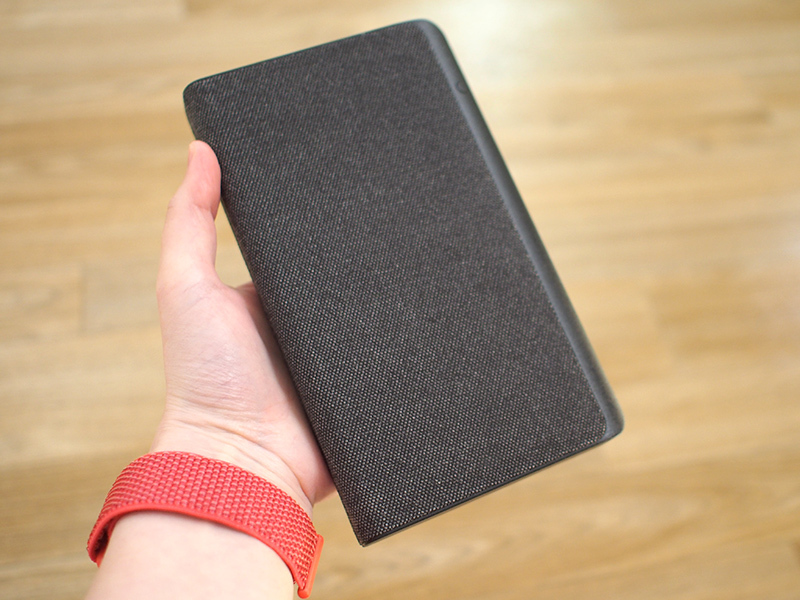 It's well made, I love the grippy fabric covering, and it charged up all of my devices flawlessly. 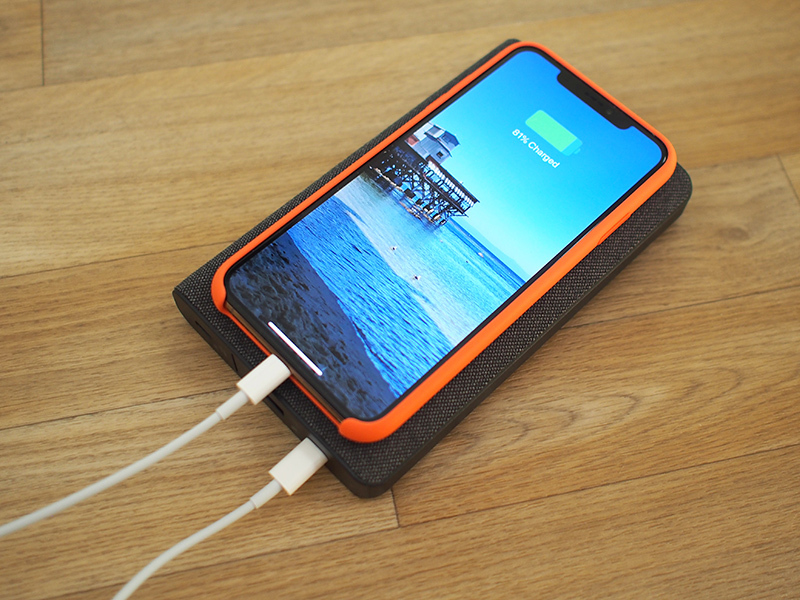 That it offers fast charging for the iPhone and faster charging for the iPad Pro are fantastic side perks, making the Powerstation 3XL one of the most versatile power banks on the market. Unfortunately, the Powerstation 3XL is super expensive at $199, which is pretty typical of Mophie products. Mophie makes premium power banks that can be hard to recommend over other, more affordable options. 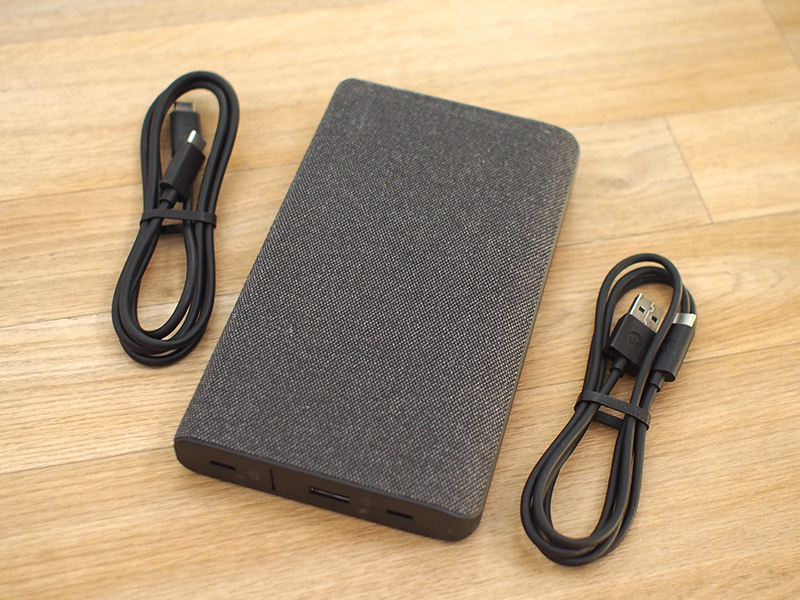 There are other similar power banks on the market that cost less but aren't quite as nice as the Powerstation 3XL. Jackery, for example, makes a 45W USB-C charger that's $120 and about the same size, while Anker and RAVPower both make lower power 30W versions that are priced at $130 and $80, respectively. There aren't many 45W USB-C power banks on the market, though you can find some options from lesser known brands on Amazon. I'm never a fan of recommending these because lower-quality cables, power banks, and power adapters do have the potential to cause damage if something happens because of less careful manufacturing. Mophie's products are from a recognized brand, which is nice for peace of mind, and carry a two-year warranty, something that will come in handy if anything goes wrong with such an expensive charging device. I definitely recommend the Powerstation 3XL because it's a nice charger, but be aware of the fact that there are potentially more affordable options out there. If you can pick this up on sale somewhere, go for it, but otherwise, make sure to do some comparison shopping to make sure you're getting the best accessory to meet your needs at the best price. Mophie's Powerstation 3XL can be purchased from the Mophie website or from Apple for $199.95. It is an Apple exclusive, so you won't find it available from other retailers. Welcome to the world of smart charging devices:confused::apple:. With the MagSafe 85W, you can charge all Apple products existing then, but you can't (should not) charge vice versa. My question - is it safe to charge a 61W or 87W device with a 45W or 30W PD battery-pack such as this Morphie or the Ravpower 26800? Of course, it just would charge slower or won’t charge at all when the machine is under a super heavy workload. It also can start your car as a side feature. I keep a 10,000 mAh Anker in the car fully charged with the battery cables. Has come in super handy at times! Guess it's so thick because there are normal 18650 cells in it. Yes expensive, an ebike battery is around 250 Watts, double price but 5 times the capacity. NB '250 Watts' is meaningless - it is not a measure of energy (capacity), but of power. Power is measured in Watts (W), energy (capacity) in Joules (J) where a Joule is equal to a W.s (Watt times second). Eg if you deliver a watt for a second then that is 1 J. A watt (power) is equal to Volts (V) times the current (ampere (A). thus a device that is driven at 3.6V and draws 3A is drawing 3.6V * 3A = 11.8W. I think you could have a couple of these in your carry on luggage? Anyone know for sure? Get the Ravpower 26800 with Power Delivery. I just received mine over a week ago and love it! Very light weight comparing to other 20000+ mah batteries. Size is small too. No problem charging my MacBook Pro 2018 15in with Touch Bar while I'm coding in Visual Studio under VMWare. Only 30W on PD but that's the same for majority of batteries that support PD. Enough to charge my MPB for 1.4 times if you do the mah->Watt calculation. Best of all, only $40!! They have price deal fairly often on Amazon or their website. If you're looking at this range of pricing for charging, please look at the OmniCharge USB-C. It's also 200 bucks, has a slightly smaller battery (21,000 vs 26,000) but it can output 60 watts from one USB-C port and 40 watts from it's second port simultaneously - and for the nerds in the room, has a cool OLED display giving you all kinds of stats on the batter. It’s mainly for winter use to be honest. I supported the Hyperjuice on Kickstarter. (They successfully funded a slick USB-C hub with 2 USB 3, SD/mini SD card slots/ HDMI, gigabit Ethernet & a Qi wireless charging mat that supports multi angles and doesn’t get hot with a pass through USB-C port for power- albeit 49W) successfully earlier this year that I use daily and love, so I trust them. Build quality is great on it too! That thing has 100W PD and passthrough charging. Same 26,000 mAh rating... getting mine in December. They're not the cheapest, but Mophie warranty is pretty solid. I had one claim recently for a malfunctioning integrated Lightning cable, very simple call with them and they send out a fresh battery and a label to return the defective one. No receipts, emailing pictures, etc.